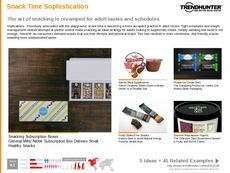 Find Better Ideas, Faster ® with a custom premium snacking trend report, our PRO Dashboard and 80+ categories of premium trend reports. 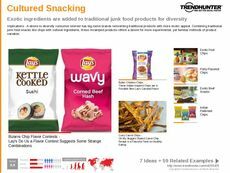 Trend Hunter's Premium Snacking Trend Report uncovers the latest food trends that incorporate premium ingredients and novel new approaches to snacking. 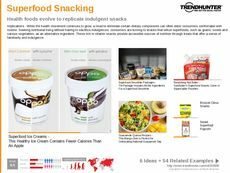 Our research explores numerous new snack trends ranging from organic superfoods to limited edition food packaging. 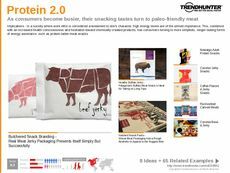 Furthermore, this research also maps the changing nature of different consumer tastes over time, and how new trends have moved to cater to these preferences. 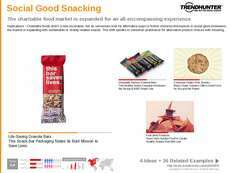 Our crowdsourced findings are perfectly suited for various industry professionals who belong to the food and beverage sectors. 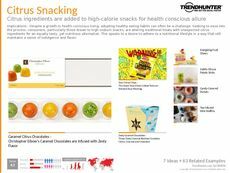 Become well versed with modern snacking trends that cater toward increased consumer demands for more luxury food offerings in their daily diet. 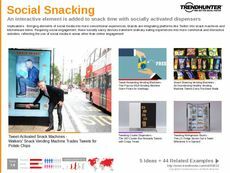 The Premium Snacking Trend Report is an accelerated learning tool that is designed to kickstart culinary creativity.